Log into your Plesk control panel with your usual URL and Username/Password. 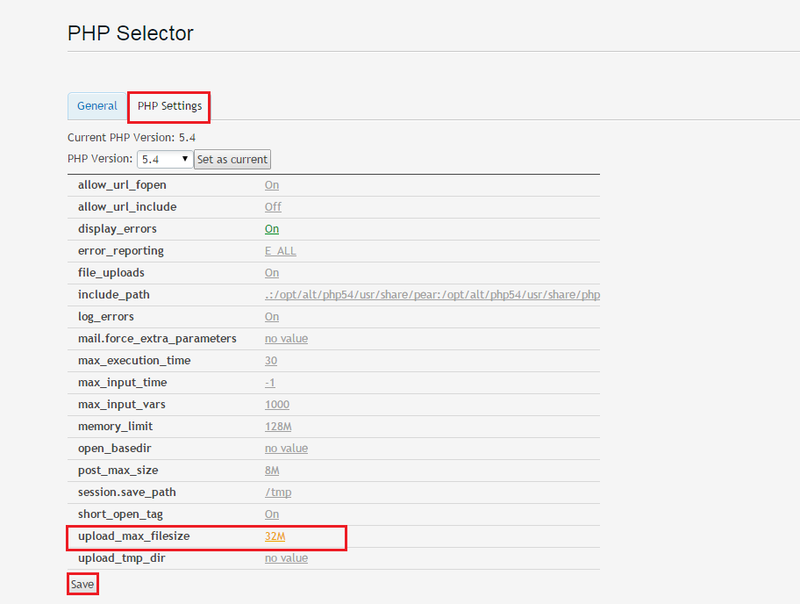 NOTE: Resellers will need to log in to the customers account first before trying to access PHP selector. 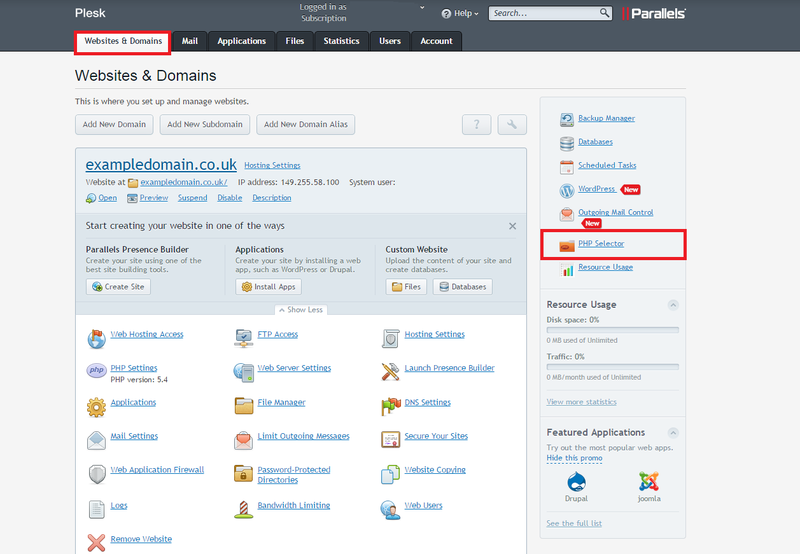 Make sure you are under the ‘Websites and Domains’ tab and then click on the ‘PHP Selector’ option on the right hand side. 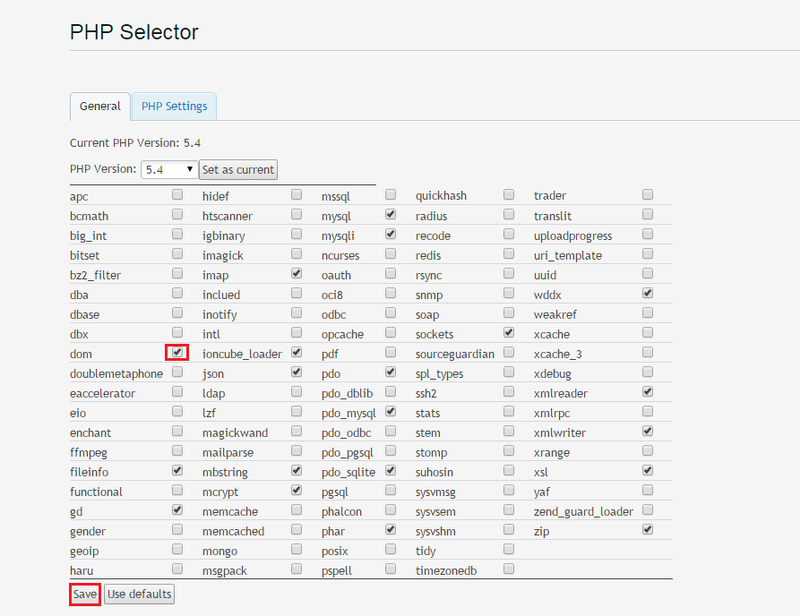 • Note: If you are a reseller, you will need to access the PHP Selector using your customers account details rather than your own. With your own subscriptions, you will need to make a customer account and move the subscription to that account and then log in with those details. Failure to do these steps will result in a ‘You are not authorized to access the resource’ message.